Who does not like being one’s own boss? Taking charge of your financial future, in control of your own destiny, the freedom of working the way you want, on projects you like- are just a few perks of being an entrepreneur. Thanks to affiliate marketing, becoming an entrepreneur has never been easier. It offers a gateway to the business world to individuals from all facets of life. Today, anyone aged above 18, with any amount of education and a ridiculously small investment, can start a blog or website of their own and use affiliate marketing to make money from it. That’s the dream right? Being able to start a business with what little you have and make money while you sleep. But what is affiliate marketing? How does it work? In simple words affiliate marketing works on revenue sharing. You promote someone’s product/ service and get paid a commission for it. However, in this post we will dive deeper into what affiliate marketing actually is, what it comprises of, and how you can get started and live your entrepreneurial dream. What is the scope for Affiliate Marketing in India? What do you need to become an Affiliate Marketer? How to get started as an Affiliate Marketer? What they don’t generally tell you about Affiliate Marketing? Affiliate marketing is a type of marketing in which brands or businesses partner with affiliate/s like bloggers, online publishers, content marketers, companies or organizations to promote their brands and products/ services. Affiliate Marketing is also known as “Pay for Performance” since as a Digital Marketer, an affiliate only gets paid when he drives a Sale or a Lead or an App install. For every new visitor and/ or customer brought in by an affiliate through his/ her own marketing efforts, the brand or business pays a commission to the affiliate. Welcome to the online world. Here you don’t need to create a product to make money; you can earn an income, simply by promoting someone else’s products as an affiliate marketer. At present, affiliate marketing contributes to 15% to 20% of total online sales. This number is only expected to grow as internet penetration and adoption of online shopping increases by the day in India. 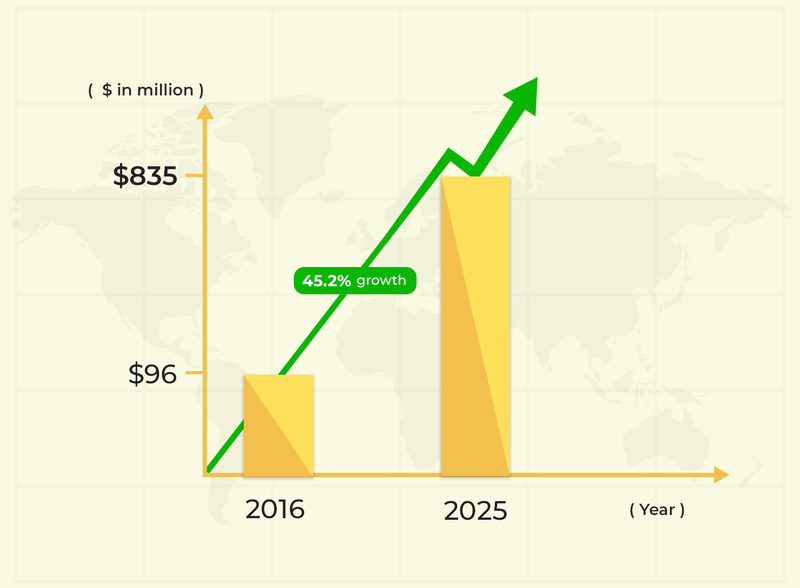 Studies indicate that the affiliate marketing industry in India is expected to proliferate from $96 million in 2016 to $835 million by 2025; that’s a 45.2% growth. One of the reasons behind this immense growth is the booming start-up culture in India. According to a recent NASSCOM report, India is the third largest start-up eco-system in the world, and also the fastest growing. Today’s online consumers have an exhaustive range of choices when it comes to buying anything. In the face of such fierce competition and the need to deliver tangible returns for investors’ money, Indian start-ups find affiliate marketing a more reliable and low-risk sales channel because commissions are given out only when sales are registered or leads are generated. Today, almost every e-commerce store, big and small, has an affiliate marketing budget set aside. While numerous online stores run their affiliate campaigns through various affiliate networks, giants like Amazon and Flipkart even manage their own affiliate programs. And yes, affiliate marketing is not just limited to Ecommerce. Travel portals like MakeMyTrip, Yatra, AirBNB, Health portals; nutrition/ pharma companies; insurance companies; bigger banks like Citibank, American Express; matrimonial websites; real estate portals all use affiliate marketing aggressively as part of their marketing efforts. In an age of increasing customer acquisition costs, affiliate marketing helps brands acquire sales at 70% to 75% less than the cost of other channels. Thus, even if marketing budgets need to be cut, affiliate marketing is the last channel to come under the axe. If you ask: What is the lifespan of affiliate marketing? It is the same as that of e-commerce. If you ask, how much money is it possible to make in affiliate marketing, the answer is from a few hundred dollars per month to tens of millions of dollars. 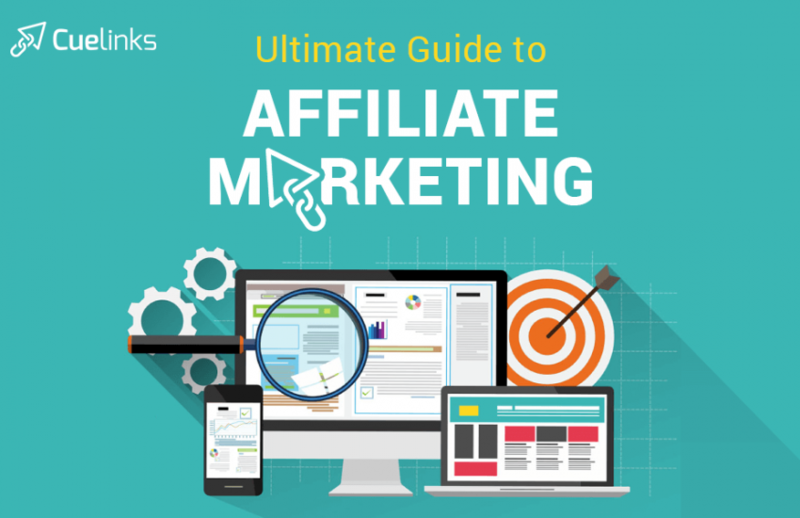 To help you understand affiliate marketing better, let’s break it down to the four important cogs that set the wheel of affiliate marketing into motion. The Merchant is the brand, business, online store, vendor, retailer; basically the party, who creates or has a product/ service to sell. It could be a conglomerate like Tata Group creating a wide range of products and services or it could be an individual home entrepreneur making and selling a single product/ service. No matter how big or small, the merchant just has to have a product/ service to sell, for which they may start an affiliate marketing program. The Affiliate Marketer is the online publisher. Again, it could be a single person or a full-sized company. It is the affiliate marketer, who promotes one or more affiliate products/ services, made by the merchant, and tries to attract potential customers and convince them about the value of the product/ service to persuade them to buy it. If the affiliate marketer succeeds, s/he gets a commission on the sale. One can make a couple of hundred dollars every month in affiliate commissions or even millions of dollars. The customer is the cog that actually gets the affiliate marketing wheel in motion. It’s only when there is a customer who buys a product/ service via affiliate marketers, there is a commission to be handed out and revenue shared. The customer may or may not know that the affiliate marketer is making money off their purchases, it’s up to the affiliate marketer to reveal it or not. The commission earned by the marketer does not lead to a higher price for the customer. It is already included in the retail price of the product/ service that the customer pays for. The fourth party, the Affiliate Network is the mediator between the merchant and the affiliate marketer. Although you can promote a product/ service created by someone and share revenue with them directly, an affiliate network makes your job easier when you want to promote products/ services from numerous merchants. The network lets you work with multiple merchants at the same time, keeps track of your commission and payments, basically it takes care of everything behind the curtains so that you can run a smooth show effortlessly. At times, when a merchant only runs their affiliate program on a network, affiliate marketers have no option but to go through a network to be able to promote that merchant’s products/ services. You don’t need a college degree or certification. What you need is something of value and meaning to share with the world; like your experiences, emotions, discoveries, knowledge, skill, expertise; anything that can inform, educate, and/ or inspire your audience. Today, you can generate online footprint through a blog, YouTube channel, Podcast, content marketing website, review site, a popular Twitter handle etc. An online channel is the medium through which you connect with people and through which you can promote a merchant and their products/ services to them. This online channel could be anything from a full-fledged website or a YouTube channel to even a WhatsApp group or a Facebook page. Yes, anybody with a decent bit of following online, can be an affiliate marketer and start earning money. This includes creating quality content; getting a steady stream of visitors, and building a good follower base and engagement on social media to begin with. Getting citations, awards, testimonials, press coverage; getting links to your content; and building relationships offline, networking, speaking at conferences, and doing sponsorship programs will help you achieve greater success and even become a leader in the industry. You may be passionate about fashion, gadgets, travelling, spirituality or anything else; you can start writing about your experiences, thoughts, and ideas on a personal blog and successfully monetize it with affiliate marketing. It’s easy to set up your blog with WordPress in 20 minutes and you will find many tutorials and courses on YouTube/ Udemy to become a full-time blogger in no time. Online shopping is only getting bigger by the day, and one of the reasons it is spreading so wildly is the low prices available online. This gave rise to the concept of deals and discounts aggregator sites. You can start a deals and discounts site too; it is the most direct and easiest way to be an affiliate marketer. You can start a community bringing together people interested in a particular subject like writing, fashion, technology, etc. This makes the site a dynamic store house of information, and converting members into customers becomes much easier. Be it Facebook, Twitter, Google Plus, Instagram, Snapchat, Pinterest, et al. ; if you have a strong presence, following and influence in any of the social media channels, you can make it a source of your income through affiliate marketing. In fact, even if you create a WhatsApp Group with a good number of members and share great products, services, or offers on it, you can start earning affiliate commission through it, too. Online shopping has made instant price comparison easier than ever. You can simply give people a platform where they can see all the prices offered by various stores of a single product/ service, to help them grab the best one. Another factor that has played an important part in adoption of online shopping is firsthand reviews of products and services online. You may start reviewing various products and services for people, make recommendations and earn affiliate commission on them. However, make sure that your reviews are genuinely helping people make informed buying decisions. Reviewing things that you actually use or relate to is the best way to establish an authority and convince people to buy something. This is called involved affiliate marketing. Are you passionate about coding? Do you understand make-up better than others? Develop your expertise and share your knowledge with people. Creating a high-quality website/ blog on a specific subject rather than a broad category, is much more profitable because such sites attract quality targeted traffic, and they convert into customers better than un-targeted traffic. The best thing about niche sites are that once you have done the hard work, you can keep earning from it without having to constantly worry about keeping the site evergreen. With internet connectivity and mobile phones getting cheaper by the day, people are now using their smartphones for much more than just checking emails and chatting with friends. Thus, nowadays there are mobile apps being developed for almost everything from shopping to studying. If you can turn your idea into a mobile app, then currently it is the best way to go online and make money through affiliate marketing. Reviews, DIY guides, hacks, advice, opinion, and all kind of content can now be made easily accessible to people in video forms, too. If you manage to gain fame as a YouTuber, earning commission on selling something is quite easy. The internet is full of unique, niche, and never-seen-before products waiting to be discovered. The inventory of uncommon artifacts is so large that you can build a website around helping people discover such interesting products, while earning a commission on them. Today, online content has metamorphosed completely and any form of valuable content like photographs, montages, videos; can be a great source, which can be monetized easily with affiliate partnerships. It is exactly like traditional media buying, only online. Media buying is buying advertising space (like banner ads) on a website or network of websites for a set budget and period of time. You can then promote various offers on these advertising banners for affiliate commission. For e.g. if you buy advertising banners on a network of skin care blog and websites, you can promote a number skin care or beauty product offers through it. The commission for this is usually on the basis of how many times the ads were seen by a customer or how many customers signed up via the ad. Some of the niches in which affiliate marketers are making great money via media buying are dating, languages, weight loss, adults, and skin care. However, this method needs a slightly higher investment, at least of around $500 to $1000, to get started. When you buy ad space from Google and Bing, and use it to promote various offers for affiliate commission, it is called Search Engine Marketing or SEM. Google AdWords is the most popular paid search platform used by search marketers, followed by Bing Ads and Yahoo Search Ads. When people search for something on Google or other search engines, you can display your ads among the other (organic or unpaid) search results through Pay Per Click. PPC is a model of advertising in which you only pay the search engine when someone clicks on your ad, irrespective of how many times the ad was shown. PPC is available on auction basis i.e. marketers bid on various keywords and search phrases, then the search engine platforms choose the best bidder depending on the relevancy, validity and other quality aspects of the ad and give their ad a prominent place in the search results. Email marketing is using email to promote products/ services/ offers. If you have a stockpile of email id’s, you can easily become an affiliate marketer by promoting your affiliate campaigns via emails sent out to those potential customers. E.g. of you have a beauty blog then you can ask your visitors to sign up for a weekly/ daily offers newsletter, and then you can promote various offers on beauty products through those emails. Email marketing is one of the most inexpensive and easiest ways to advertise offers. Once you have a decent website/ YouTube channel/ social media page, which attracts steady traffic, the next step is to analyse what kind of traffic you are getting. Who are your visitors or followers? What is their age range? What are their likes or dislikes? What are they interested in? While you already know their primary interests based on the theme of your content like fashion, technology, home décor and so on; you get deeper insights into your audience using Google Analytics. Once you know your audience well, you can start thinking about what kind of merchants to send them to or what kind of products or services to recommend them. E.g. if your audience is budget conscious you can promote brands or products/ services that offer value for money, if they are not budget conscious you can send your visitors to merchants that provide a superior experience inducing them to shop. Or if you have created a great following on your Facebook page by reviewing every movie that releases every month, then you can send your followers to movie ticket booking sites or if you share quick recipes on your YouTube channel, you can promote grocery online stores on it. The traditional form of marketing involves giving real estate space to merchants on your website or social media channel or YouTube channel. Hosting banners as an affiliate marketer is pretty easy as the merchants or the affiliate network that you partner with usually have a ready-to-use code, which you simply have to add in your website’s template. You can host header banners, side widgets or footer banners to promote your affiliate campaigns. This method is more subtle. It is the essence of affiliate marketing i.e. promoting products non-intrusively, unlike ads. You can hyperlink certain group of words in your content with relevant affiliate links. You may or may not announce it to the reader that here is the link to the product/ service. Example, if you are writing an article about current trending styles in shoes, you may hyperlink words like ‘casual sneakers’ or ‘white sneakers’. However, you must take care that the links take the readers to the relevant product or category page. Also, you may or may not tell the content consumer that you will be earning a commission on any purchases they might make. Sometimes, certain direct partnerships with merchants require you to host only their affiliate links on a page for a certain period of time. This is more often done when you partner with merchants directly. If your blog or channel has established a great authority and influence in the market, merchants may approach you to create content tailored around their products and services for a fixed commission. As the name suggests, here you promote the merchants and their affiliate programs in the emails that you send out to your visitors/ followers. You can hyperlink simple texts or call-to-action buttons or even host affiliate ad banners in your emails. Mainly there are two ways in which you can enter into affiliate partnerships with merchants to earn commission by promoting their products and services. This is the outcome of the growth of affiliate marketing in India. Affiliate marketing has become the favourite sales channel among startups and so more and more online stores and brands have been setting up their in-house affiliate programs. One of the biggest in-house affiliate programs in India currently is the Amazon Associates Program. It offers affiliate marketers millions of products/ services to promote using numerous easy-to-use linking tools to meet all the needs of an affiliate marketer. Similarly, there is the Flipkart affiliate program offering an extensive range of affiliate tools from simple banners and widgets to APIs, for listing products on an affiliate marketing website. Merchants also sometimes directly approach social media influencers or top-notch bloggers to produce content solely to promote their products and services. In direct partnership, often the commission earned per conversion is higher, as there is no middleman to share the profits with. While many merchants and brands have started managing their in-house affiliate programs; third party affiliate networks are still relevant and more convenient. An affiliate network brings you an array of affiliate campaigns of hundreds of merchants under one roof and enables you to work with all of them at the same time. The network provides you an efficient set up, nifty tools, an organized tracking system and takes care of all the tedious task of handling payments and reports while you can simply focus on producing content and promoting products and services. Cuelinks is one such affiliate network and more. Cuelinks is a master affiliate network that not only brings you more than 500 merchants but also many other affiliate networks to partner with. With Cuelinks you have access to an even wider range of affiliate campaigns within India as well as outside the country. With tools like Google Analytics you can easily identify which countries your users are visiting from and most likely you will find affiliate campaigns for those countries, too, on Cuelinks. So, you not only get to earn in Indian currency but also in USD and EUR, too. Once you have figured out who will you partner with, the question arises what kind of partnership it will be? How will the revenue or commission be divided? Do you want to be paid a commission on every sale you send to the merchant or do you want to be paid for every new email id that registers with the merchant through your channel? What type of affiliate marketing campaign you should go for depends on the theme of your website and the preferences of your audience. Cost per Sale is one of the most common affiliate marketing campaigns and is also the most straightforward one. It refers to the commission paid by a merchant for every sale that they make via an affiliate marketer’s site. It is also sometimes called Cost per Transaction (CPT). The commission paid maybe a flat amount or a certain percentage of the sale made. E.g. if a merchant offers Rs 20 CPS, it means that the affiliate marketer will get Rs 20 for every sale made via their site, while a merchant offering 10% CPS will pay the affiliate marketer 10% of the sale amount generated via the affiliate marketer. Most merchants have different payouts per sale for different categories and products. So, a merchant may offer Rs 25/sale on mobile phones, 13%/sale on fashion apparels and so on. Under CPS, sometimes, the affiliate marketer is paid commission only for the first time the customer comes to the merchant and transacts via an affiliate marketer’s site. This is called Cost per Acquisition, i.e. the cost to acquire a new customer. CPA is also referred to as Cost per Action or Pay per Acquisition (PPA). Cost per Install is a mobile app promotion campaign. It refers to the commission paid by a merchant for every mobile app installation done via an affiliate marketing site. There are two types of CPI campaigns: CPI (Incent) and CPI (Non Incent). Under the CPI – Incent campaign, a merchant pays commission for app installs acquired through the affiliate marketer by providing some kind of incentive to the user like some bonus or points. Under the CPI – Non Incent campaign, a merchant pays commission for app installs obtained via the affiliate marketer without offering any incentive to the user. E.g. by writing a review about the Merchant or sharing a Signup coupon code. Generally, CPI Incent campaigns offer lower commission per install than CPI Non Incent campaigns. Merchants usually run Incent campaigns because they are cost-effective and give an instant boost to the number of app installs, which leads to better ranking in App Stores. However, usually the installs generated via such campaigns do not result in long term users or customers. People might just install the app for the incentive and later uninstall it. Non-Incent campaigns, on the other hand, bring merchants more genuine and long-term users, who actually need the app, engage with it and even transact on it. Nowadays, some merchants pay commission per install/ registration plus one transaction. This is called CPRT campaign. In such campaigns, just getting an install/ registration is not enough, the user sent by an affiliate marketer must also make a transaction on the app for the affiliate marketer to earn the commission. Another quite common campaign is CPL, which refers to the affiliate commission paid by a merchant for every new lead generated through the affiliate marketer’s efforts. A lead is an individual who shows interest in the merchant and its products/ services by leaving their contact information like email address, postal address or phone number. Let’s say a merchant is running CPL campaign of Rs 75/ lead; it means that the affiliate marketer will get Rs 75 for each new email id or contact information acquired via the affiliate marketer’s site. Cost per Mille means cost per thousand impressions. One way in which an affiliate marketer can promote products and services of a merchant is through digital banners. The web page of an affiliate marketer is a real estate on which multiple ads can be placed at a time. An impression is the display of an ad to a potential customer or user, while s/he is visiting or viewing a webpage. Thus, CPM refers to the commission paid to an affiliate marketer for every thousand impressions or views received on an affiliate ad. To prevent any fraud or miscalculation, certain activities like page refreshes are excluded from the equation while calculating the impressions. E.g. If a merchant is offering Rs 350 CPM, it means the affiliate marketer will get Rs 350 for every thousand views its affiliate ad gets. This refers to the commission paid for every click received on the affiliate link or ad hosted on the affiliate marketer’s website. These campaigns are run by merchants to get visitors on their sites. In CPV campaigns, affiliate marketers are paid commission for every visitor that their affiliate marketing efforts bring to the merchants. When a user clicks an ad, they may or may not land on the merchant page for various reasons like page load speed, internet speed, etc. A visit is considered only when a user lands on the merchant page. That’s the essential difference between a click and a visit. Whether you are partnering directly with a merchant or joining an affiliate network, you can only start promoting affiliate programs after you have been approved by them. Yes, there are chances your account might get rejected too. Various merchants and networks have different criteria to be fulfilled before they allow you to promote their programs. However, to get approved as an affiliate marketer, you basically have to own a genuine website, social media page or channel that produces decent, fresh content regularly. Before applying to any merchant or network, read through their site to make sure your account will be approved. Generally, the commission that you earn on various products and services are validated by merchants over a period of 30 to 60 days. It varies from merchant to merchant. After a visitor makes a purchase, they have a window in which they may either cancel the order, return it or exchange it. There are many a slip between the cup and the lip. So, even if you make a great amount of commission in a particular month, actually getting the money in your bank account will take some time or you might also never get it. Sometimes merchants also reject payments at the last minute without reason. When you partner directly with merchants you have to keep a track of their payment cycles and raise invoices accordingly for each. In case of a network like Cuelinks, you just have to remember one date, on which you need to raise an invoice and expect your payment on a given date. Also, merchants have a set of rules that you have to follow while promoting their programs. For example, some merchants don’t allow you to run popup ads or only permit you to promote links in emails after prior approval. If you fail to comply with any such rules, you will lose your commission or even get banned. If you earn Rs 100 today, you won’t be able to get it in your bank account tomorrow. You have to wait for your commission to reach a threshold before you can withdraw it. Different merchants and affiliate networks have different minimum withdrawal thresholds. For example, you can withdraw your earnings once they reach Rs 500. To learn more about the best affiliate programs and about affiliate marketing, keep following the Cuelinks blog. An account manager is the affiliate network representative who is your point of contact with the network for any missing reports, doubts and queries regarding an affiliate program. An ad blocker is a software that can remove or change the advertisements on a web site or mobile app. The number of people using ad blockers on their browsers is growing exponentially every year because they are tired of seeing irrelevant and intrusive ads. This has great consequence on affiliate marketers and their ability to use display and banner ads for promotion. There are numerous ways in which you can circumnavigate ad blockers like charging for a subscription to access your content, displaying a pop-up telling your visitors to disable ad blocker for your site, creating ads that are allowed by ad blockers, or installing anti-ad blocker software etc.. However, the most effective way to escape the ad blocker is native advertising i.e. inserting ads (links) seamlessly within the content, which is already a natural factor in affiliate marketing. This is the company or individual that creates the products or services that you promote as an affiliate marketer. An advertiser is more commonly referred to as the Merchant, which is why we have used the term ‘Merchant’ throughout this paper. The agreement between the merchant and the affiliate marketer regarding the affiliate relationship. It spells out the roles, rules, responsibilities and legalities of the bond on both sides. The affiliate link helps you and the merchant keep track of the sales, clicks, leads, installs that were generated through you. An affiliate link generally looks something like this: www.merchant.com/?ID=YourUniqueID. The person who manages an affiliate program for a merchant. They are responsible for recruiting affiliate marketers, making affiliate partnerships, ensuring that the affiliates are using above board promotional methods and for increasing affiliate sales for the merchant. The affiliate manager also acts as the liaison between the affiliate and the merchant. They may work directly for the merchant or be an independent service provider hired by the merchant to run their affiliate program. They are also referred to as an OPM- Outsourced Program Manager. Not every merchant has an affiliate manager. A software program that a merchant uses to run their own affiliate program in-house as opposed to using an affiliate network that helps the merchant track affiliate efforts, revenues, and reports. Affiliate tracking is the unique ID added to the links you use to send traffic to the merchant. It is specifically assigned to you to track your sales or for referrals to the merchant. An affiliate marketer is sometimes also referred to as an Associate. As an affiliate marketer you will often come upon phrases like ‘this sale has been attributed to XYZ’. Attribution, in this case, simply means that XYZ has been given the credit, and thus the commission, for the sale that took place. Merchants generally pay their affiliate marketers following the “last click” system, i.e. they pay the affiliate marketer whose link brought a consumer directly to the merchant page where the purchase was completed. However, nowadays larger merchants use paid search campaigns, social media advertising along with multiple affiliate marketers to drive sales. In this case, the customer is likely to click on a number of affiliate links (e.g. while reading a review, seeing an ad on Facebook, searching for something on Google etc.) before finally making a purchase. Here, attribution modelling comes in to play, as it studies data at every point where the customer touches a marketing channel in the buying journey and gives some credit to each of those channels for the sale made and divides the commission between them. In short, attribution is a marketing and data analysis method used to track an entire sales process from start to end and across multiple channels (both online and offline). Also spelled ‘Click Thru’, this refers to the act of someone clicking on your affiliate link and being taken to the merchant’s website. Also spelled ‘Click Thru Rate’, it is the percentage of times your affiliate link has been clicked on compared to the number of times the link has been viewed. It is used to measure how effective and attractive your affiliate ad is and/or how relevant your affiliate link is to the users? A text link that is placed within the content on the website/blog as opposed to a link placed in the sidebar as a more traditional advertisement. The predefined money or fee a merchant pays an affiliate for generating a sale, click, impression, or any predefined, desired outcome for the merchant. A metric used to show the number of times your affiliate link has generated a predefined conversion compared to the number of times the link has been viewed. It is measured in percentage. The conversion rate shows how successful your affiliate campaigns are, how successful you were in convincing your visitors into buying a product or leaving their email id. Example – if your link was viewed 100 times and generated 2 sales, then your conversion rate is 2/100×100 = 2%. They are also called internet cookies, web cookies or browser cookies. They have various uses in the online world as a whole. In affiliate marketing, cookies are used to assign an ID to a user who has clicked on your affiliate link to go to a merchant website for a certain period. If the user returns to the merchant website within that predefined period (by clicking your affiliate link again or not) then you will be credited with the sale. Example – a user clicked on your affiliate link once (cookie gets “dropped” to their browser), but he did not make a purchase for some reason and closed the site. He returned to the site again a few hours/ days later, but this time he landed on the merchant site directly because the link was saved in the history of the browser, and he made a purchase. If the second visit of the user within the predefined period, you are given the credit and the commission on that sale. Once a cookie is set/ dropped in a user’s browser when the user clicks on an affiliate link, there is a certain time period within which the user has to make the purchase, or fill a form, or install an app, basically perform the final action for the affiliate marketer to get credit and commission for it. This time period is called cookie expiration/ cookie period. Example: The cookie expiration of a merchant is 30 days. Your visitor clicked on that merchant’s affiliate link, but did not buy the product at the time. The visitor then opened the link again directly in his browser after 5 days and made the purchase; you get the commission on it. But if the visitor opens the link directly after the end of 30 days, you won’t get credit for it. The standard length of a Cookie is typically between 30-90 days. Anything below 30 is considered low/short cookie period while anything above 90 is considered to be healthily above average. Cookie stuffing is an underhand practice of depositing cookies of a site onto the users’ computers even when the user has never visited the merchant site through an affiliate link or even the affiliate website. Cookie stuffing is done with the intent of stuffing as many cookies as possible onto as many user computers as possible in the hopes that they eventually come across the merchant website and make a purchase. The bigger the merchant, the more likely it is to occur. Cookie stuffing is heavily looked down upon by legitimate affiliates and most merchants also ban affiliate marketers using cookie stuffing in their affiliate agreements. A creative is a promotional tool advertisers (merchants) use to make visitors click and take action. Examples of creatives are towers, text links, badges, banners, pop-ups, email copy, etc. Deep linking is the use of a link to a page on the website, other than its home page. E.g. A link taking a user to a specific product/ service or to the sign up page of a merchant website is called a deep link. Example: https://www.cuelinks.com/campaigns/cleartrip-affiliate-program#CPS : This deep link takes the user to a specific campaign on Cuelinks. Stands for Earnings Per Click. Your earnings per click is the average amount you earn every time someone clicks on your affiliate link. Example – if an affiliate link has generated Rs 4000 in sales over the lifetime of your affiliate relationship and the same link was clicked on 12,000 times, then your EPC would be Rs 0.33. This means you earn an average of 33 paise each time someone clicks on your affiliate link. Similarly, there is Average EPC of affiliate campaigns, which helps affiliate marketers understand the potential of a campaign. E.g. : An Average EPC of 0.99 Rs for merchant X means that you will be earning around 1Re, on an average, on every click that you send out to merchant X via your affiliate site. In affiliate marketing, first click is used to describe an affiliate program wherein the first affiliate marketer, who gets a user to click an affiliate link and make a purchase within the limits of the cookie expiration, is the one to be credited with the sale, even if the user landed on another affiliate’s website and actually converted after clicking on a link from the second site. There has long been a debate between whether first click or last click is most beneficial to both the affiliate and the merchant. An impression is measure of how many times an ad is shown on a page. For every time the ad is shown, one impression will be counted. A landing page is a single web page created specifically for marketing or advertising purpose. It is where the visitor lands when they click on an online ad or a search engine optimised search result. Landing pages are usually for generating sales or leads. When the goal of a landing page is to generate a sale, it will have a crisp sales copy specific to the product or service or offer and a Call to Action button like ‘Buy Now’, ‘Checkout’ etc. When the goal of a landing page is to generate a lead, it will have a short form to collect the visitor’s contact details along with a Call to Action button like ‘Sign Up’ or ‘Join Now’. For e.g. you own a discussion forum and you want to increase your members, then you can run a sign up campaign for it and put up ads in various places online. When someone interested in your ad clicks on it, s/he will be taken to a page that has extremely concise information about what your site offers and a short sign up form. This page is your campaign’s landing page. It is different from the home page or any other page of your site because except for the Sign Up button, there is not other clickable link or button on the page. In affiliate marketing, last click is used to describe an affiliate program wherein the last affiliate, who gets a user to click an affiliate link and make a purchase, is the one to be credited with the sale – even if a valid cookie from a prior click of a different affiliate marketer’s link still exists on the user’s computer. The various features and tools of a Master affiliate network makes the job of an affiliate marketer much easier and it also takes care of all the tracking, link management, payments and reporting for the affiliate marketer. Master affiliate networks usually take a cut of any commissions generated as payment for their services. 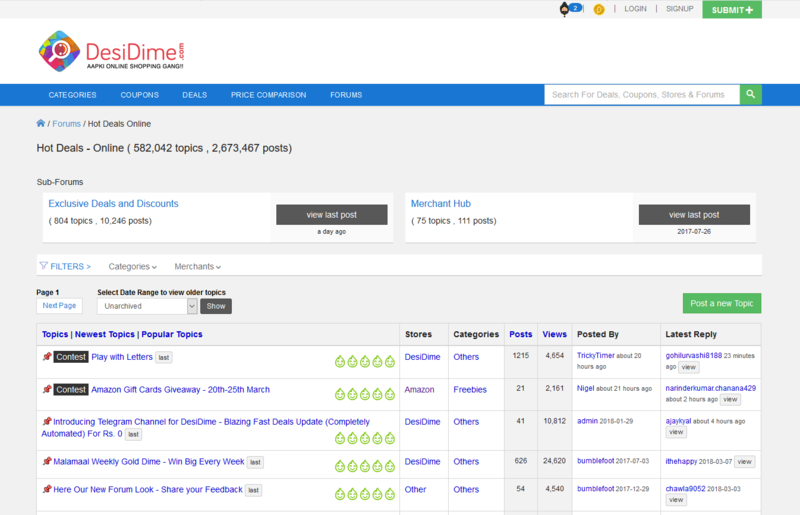 Cuelinks is an example of a master affiliate network. A specific topic or subject on which a website is based. Example – if you own a site about shoes, then your niche would be shoes – as well as fashion in the broader definition of a niche. The percentage of people who subscribe to your mailing list (newsletter) out of the total number of people who were presented with the opportunity. If 100 people see your email list subscription form and 1 person signs up, you are opt-in rate is 1%. The amount of commission an affiliate marketer has to accrue before being paid. Every merchant, affiliate network, and master affiliate network may have different payment thresholds. The affiliate marketer is paid their earnings only after reaching this payment threshold. Some merchants set a minimum payment threshold themselves (to lower accounting costs by paying less frequently to people sending very few sales) while others allow the affiliate marketer to set a minimum payment threshold. The minimum payment threshold of Cuelinks is Rs 500. Once your affiliate earnings reach Rs 500 in Cuelinks, you can withdraw it to your bank account. Raw clicks is the total number of clicks an affiliate link or ad receives. If an affiliate link or ad is clicked 10 times by the same person in a day from the same IP Address, it all counts as raw clicks. Raw clicks are often shown in conjunction with Unique Clicks to give an affiliate marketer a more complete picture of affiliate link activity. This refers to affiliate commission paid on a customer over and over again after the first transaction or sign up. Example, if you get your visitor to sign up with a web hosting service that offers recurring commissions, you will be paid a predefined commission for the initial sign up and keep receiving a pre-defined commission for every month the customer continues to use the hosting service. It is a scheme of rewarding your customers/ users who refer your business to their friends. The reward can be cash, prizes, discounts, redeemable points, or shopping vouchers. As an affiliate marketer you can run a Referral Program for your own website to gain new customers, or you can promote the referral programs of various merchants through your site to earn a commission. You can also be a part of the referral program of your affiliate network (like Cuelinks) to earn money on every new customer that joins the affiliate network through your site. Stands for Return on Investment. It is measured to evaluate the efficiency of an investment or compare the efficiency of different investments in marketing. The top affiliate marketers, who together generate more than 80% of the total sales for an affiliate program, are called Super Affiliates. In the early days of affiliate marketing, this term was also used to refer to affiliate marketers who made more than $10,000 per month affiliate income. Text link is a link formed by linking text (a few words in the content) to a webpage rather than using a banner ad or other image to link to a webpage. It refers to the kind of tracking a merchant or network uses to track affiliate activity, sales and leads. It refers to the total number of visits or visitors a website gets. It refers to the number of unique people, who have clicked on an affiliate link or ad. If a person, browsing the internet from his home, clicks on an affiliate link three times, then only one of those clicks is considered a unique click. Usually, with most affiliate programs, a unique click resets after 24 hours; meaning, if the same person in the above example clicks on the same affiliate link again after three days, then that click will be considered as another unique click. This is a type of affiliate program in which a merchant allows an affiliate marketer to sell products and services under the affiliate marketer’s brand with no mention of the actual merchant. Visitors to the website would likely believe it was the affiliate who was actually selling the items or taking the leads since there is no mention of an outside merchant. Merchants usually limit white labeling opportunities for Super Affiliates. A white label affiliate program enables the affiliate marketer to build their own brand, sell products and services directly on their website without forwarding visitors, and benefit from any repeat business. That’s everything you need to know to consider trying your hand at affiliate marketing. Like in any other field, once you dive in you keep gaining deeper knowledge of the subject as you explore it further yourself. But even as a beginner in affiliate marketing you have to interact with merchants and affiliate networks for reports, campaign updates, payments etc. You can sail through all that with Cuelinks- a 2 minute content monetisation tool and a master affiliate network. For someone who is just getting started in to affiliate marketing, Cuelinks makes life much simpler. If you would like to get this guide in PDF format, email us at [email protected]. Awesome and nicely written article ! Digital marketing, one of the best platforms for any business, I am also a digital marketer and running my own DM agency and after your read blog, I will boost mine agency more fluently Thanks to sharing this amazing tips with us. I also think that affiliate marketing has his own benefits like-1. The main advantage of having an affiliate program is that it is entirely performance-based. 2. affiliate marketing provides Broader Marketing Efforts 3. best advantage is it has 3rd Party Validation 4. For many of the reasons listed above, affiliate marketing can be extremely cost-effective. Great Article. Cover all basic to advance topics of affiliate marketing. Thanks for sharing. This is a great post. I check your blogs regularly but after reading this blog and I’m inspired. It is extremely helpful information specifically the ultimate section 🙂 I read such information a lot. I was looking for this particular info from very long time. Thank you and good luck. This is great Vandana, simply one of the best blog about affiliate marketing. 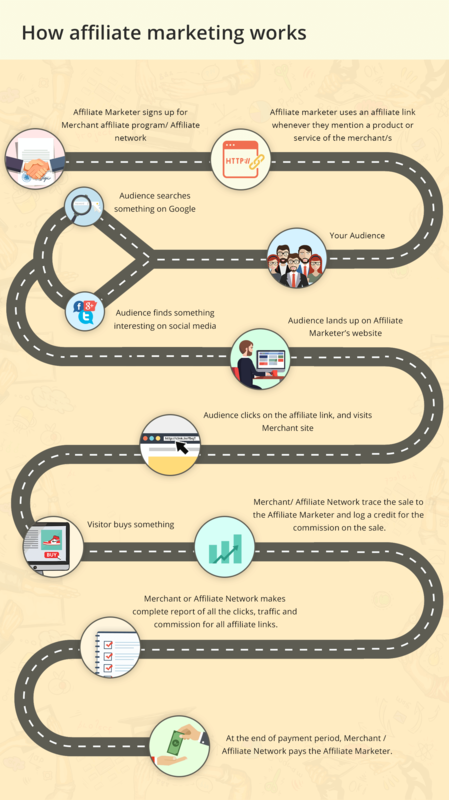 Thanks for sharing this informative guide about affiliate marketing on the web. Your ultimate guide would be really helpful for all those bloggers who’re still new and thinking about starting as an internet affiliate marketer! Thanks for sharing this blog. Affiliate marketing is a common way people make money online. For me, affiliate marketing is my largest income stream.